The second book Lee Ann recorded by author Ellen Harris is now for sale on Audible. 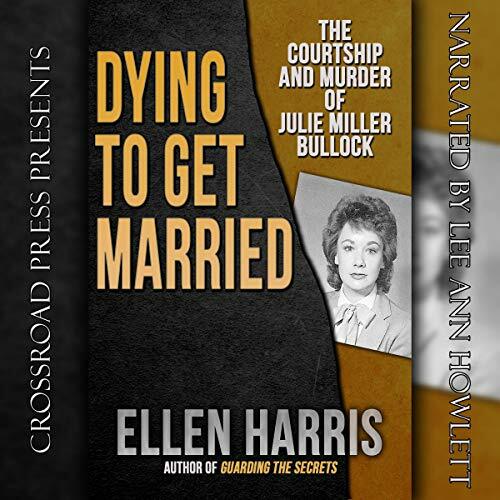 Dying to Get Married: The Courtship and Murder of Julie Miller Bulloch was published by Crossroad Press and is another entry in the true crime genre. Dying to Get Married is a modern day morality tale of the perversion of an American dream. Julie Miller was a successful executive, who, through a newspaper ad, met who she thought was “Mr. Right”. Little did she know that he had a violent past and a predisposition for bizarre sexual rituals. This tragic true-crime tale will shock its horrified listeners. To listen to the sample and/or purchase the book, please check Audible here. Posted by lahowlett on December 13, 2018 in Uncategorized and tagged Audible, audiobooks, Ellen Harris, Julie Miller Bulloch, murder, true crime.